Deph of teeth from housing is .25"
This is the smallest, lightest mini starter made for Chevy engines. 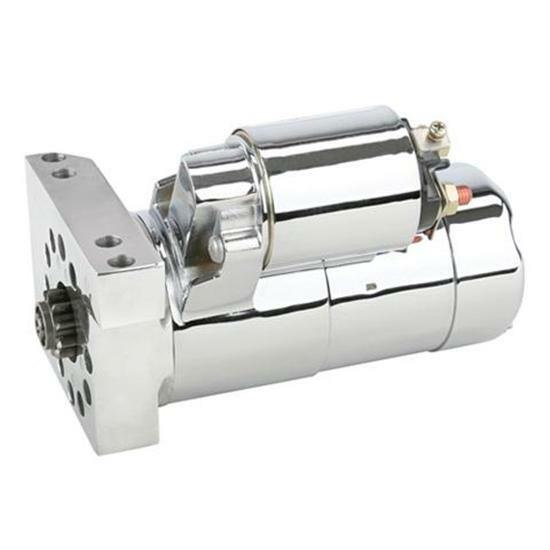 Weighing in at only 7.5 lbs., this starter allows you to index it to clear headers or exhaust. It has a 6:1 gear reduction and has a permanent magnet motor rated at 1.6 hp. Available in plain or chrome finishes. Fits 153 or 168 tooth flywheels.